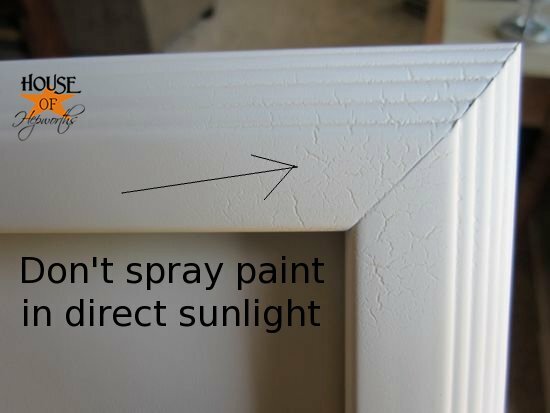 With summer almost here I want to share a spray painting tip with you. Hopefully it will help you to not make the same mistake I made last summer. 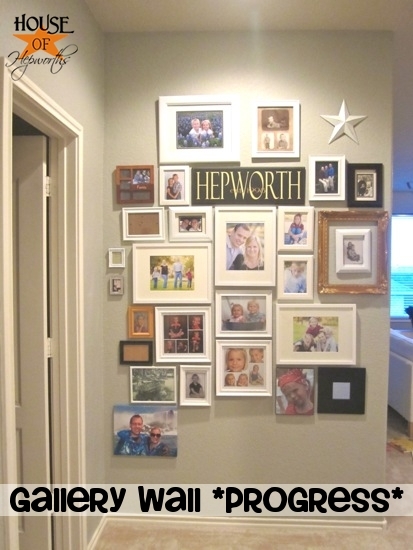 I decided I wanted a bunch of picture frames painted white for my gallery wall. 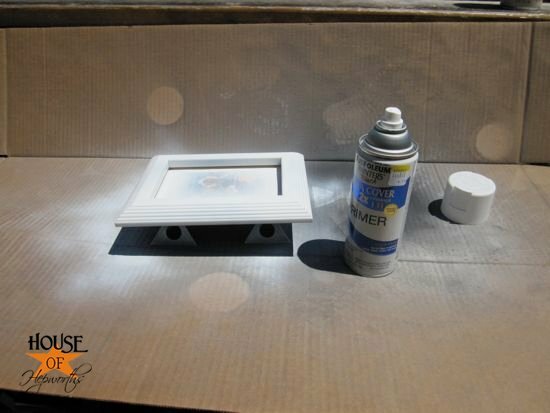 Perfect time to spray paint a few frames, am I right?! The Primer went on fine. Things started getting ugly real quick though when I busted out the spray paint. 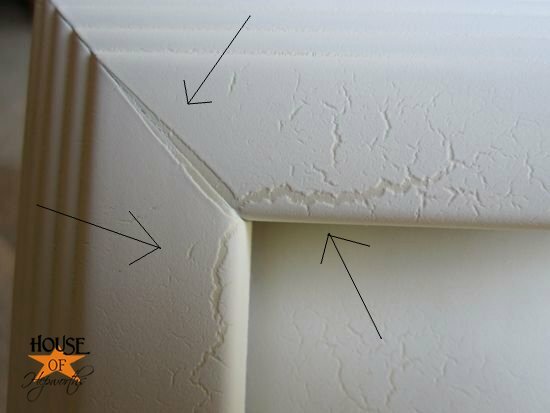 You see, it was SO HOT outside that the sun dried the paint too quickly causing the paint to snap, crackle, and pop. It was a total mess! Definitely not the look I was going for on my gallery wall. After lots of sanding I was able to start fresh, but it was a huge inconvenience for me! The moral here? Now that it’s summer again, be aware of where you are spray painting. 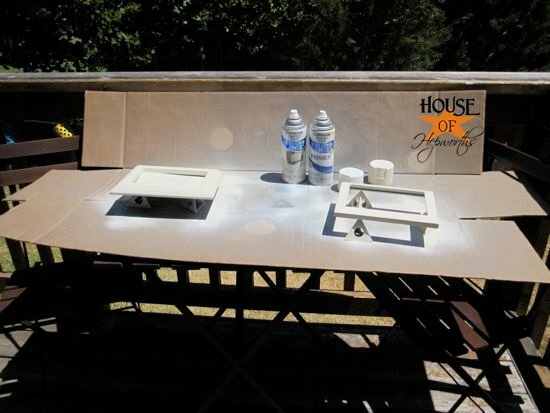 If possible work in your garage or wait until closer to dusk to bust out that can of paint. Don’t be a victim to unnecessary crackling. Of course, if this is the look you are going for then by all means, paint in 100 degree weather in direct sunlight. 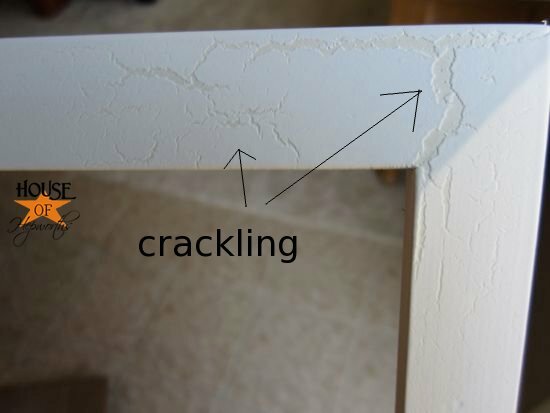 You’ll have the perfect crackle effect. Good advice! I live in Vegas, and made this mistake last summer, though mine didn’t crackle and pop, but it turned out very gritty. I later learned that it’s called “fall out” and the primer in my spray paint was drying before it hit the surface! Drove me mad, as I tried doing it in the early hours (5 am) but it was still too hot. Was not fun since I was oil rubbed bronzing my inside door handles and did not want it gritty!! I couldn’t find out anywhere what I was doing wrong until a professional Painter told me months later. And those knobs and handles have been abused for a year now, and still no scratches or wear! Thanks for the tip! I used spray paint in a project recently and now am hooked– can’t wait until the next inspiration hits and I can paint again! While I read the post I was thinking..wasn’t the crackle finish popular not that long ago? lol Luckily, for me, I’m slow on fads. Love spray paint, but not in hot or humid weather. 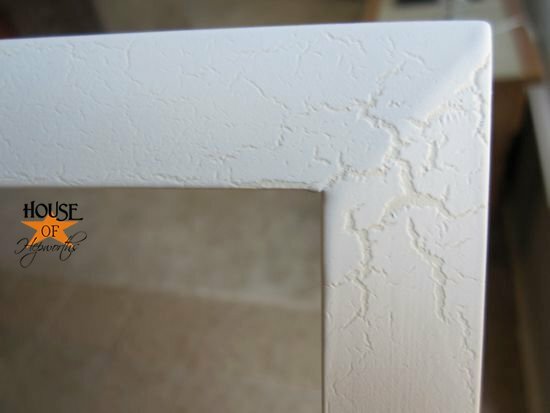 I would have loved that crackle finish even if you left it white on white, but it’s a witch to keep dusted! to make some curtains for Abbey and Brooke’s room! Probably not a problem for you, but also don’t paint metal if its cool outside. I painted in the evening one spring day and the metal was so cold the spray paint started bubbling! Not cool. Thanks for the tip. Hotter than hell is setting in again in Texas and I’ve got spray painting planned! I just had someone ask me (she was near tears) why her second coat of paint crackled! I called my painting diva friend and she asked if it was spray paint – she knew right away! Good thing to know next time I wanna get my spray paint groove on! As I am looking to get this done purposely, heat can cause this, as well as the can it self. Some types dont play well, as well as others will do this if sprayed too thick, or if the under coat is still wet. Too many variables. And I need huge cracks. Oh well. Time to play with more chem reactions. You do know the sun had nothing to do with your paint failing. 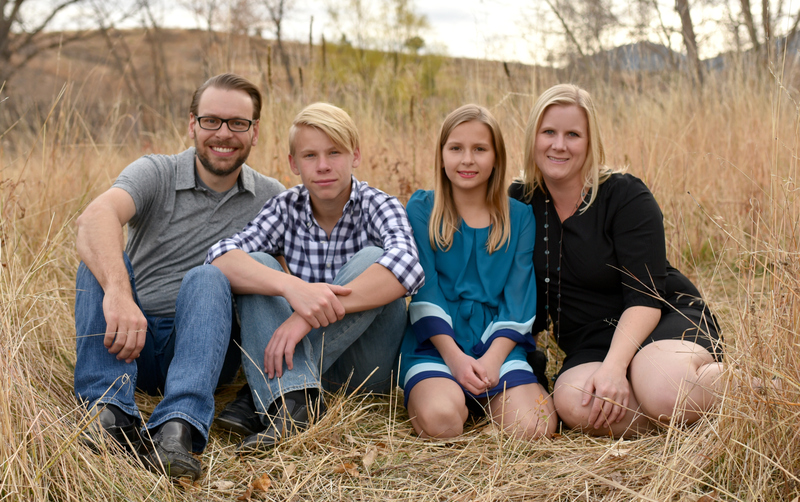 I’m Chad and I’m the smart because my dad got me a house. CHAD!!! ??? Your comment makes absolutely no sense. NONE!! !